Whitewater held its annual organizational meeting last night, and elected Patrick Singer president for the 12th year in a row. Under its agenda Tuesday, the council approved several resolutions “expressing support for” several issues under consideration for the state’s biennium budget. 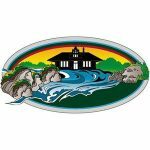 Copies of the resolutions will be sent to all of the state legislators representing the City of Whitewater, to Governor Tony Evers and to the League of Wisconsin Municipalities.